Premier League done deal. 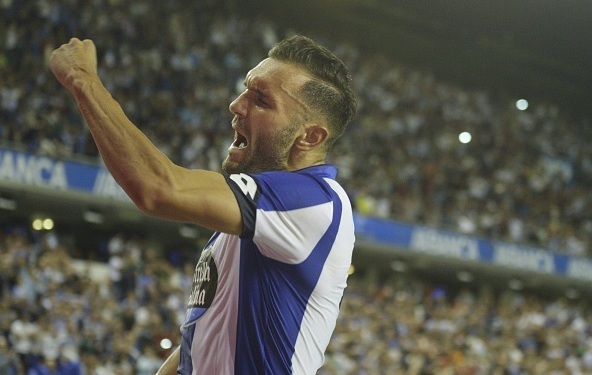 Arsenal have completed the signing of striker Lucas Perez from Deportivo La Coruna, according to SkySports. Arsenal have completed the signing of striker Lucas Perez from Deportivo La Coruna, according to SkySports. Arsenal have finally confirmed the signing of Lucas Perez on a £17.1million deal, as per reports. Also Read: Latest Premier League News! Also Read: Done Deals of this summer! The Gunners have been keeping tabs on the player for the past several weeks and finally sealed his deal in the last few days of this current transfer window. The 27-year-old was exceptional for his club Deportivo La Coruna last season. He scored 18 goals in 37 games in the Spanish top flight last term. Arsenal manager Arsene Wenger admired the player after the signature that he is a top player, he not only scores but also combines well with the others to create chances. Wenger has been targeting Alexandre Lacazette of Lyon for the past several months to solve striking issues, but the demands from the French club failed to conclude the deal. Perez is a good player and will be providing variety of ways to attack. He will give tough fight for the current strikers Olivier Giroud and Danny Welbeck, the latter one is injured at the moment. Lucas started his career from Atletico Madrid and then moved to Rayo Vallecano. Arsenal have picked up four points from their first three Premier League games, Perez would be getting his debut once the EPL resumes after the international break next week.